A former director at the university's law school is accused of fraud in a case potentially involving millions of dollars. After an ex-employee was arrested amid a fraud investigation involving potentially millions of dollars, the University of Texas at Austin has tapped former federal prosecutor Johnny Sutton to conduct a wide-ranging internal review and recommend policy changes. Sutton, U.S. attorney for the Western District of Texas from 2001 to 2009, will investigate “administrative and management issues” related to the alleged fraud and will “provide recommendations for enhancement of systems, processes, and best practices, and corrective actions.” According to a recently signed retainer agreement, the university has agreed to pay a maximum of $149,000 to Ashcroft Sutton Reyes, a high-profile practice whose Austin branch is headed by Sutton, for a term expected to end August 31, 2019. Sutton’s hiring comes almost three weeks after Jason Shoumaker, a former director at the university’s law school, was arrested on six charges of tampering with government records — his university time sheets. But sources close to the matter say Shoumaker is at the center of an ongoing probe that could involve millions of dollars of questionable expenses. Sutton declined to comment Monday. He is perhaps best known for his prosecution of two Border Patrol agents who covered up the shooting of an unarmed drug smuggler near El Paso. A jury sentenced each agent to about a dozen years in prison, but then-President George W. Bush commuted their terms in 2009, on his last full day in office. Sutton frequently prosecuted drug- and immigration-related cases while the U.S. attorney for Texas’ Western District, a more than 90,000 square mile swath with more than 650 miles of U.S.-Mexico border. He also oversaw the corruption case that brought down former Texas Attorney General Dan Morales, who pleaded guilty to mail and tax fraud in 2003. Sutton’s work will take him back to the campus where he earned bachelor’s and law degrees — not to mention a starring role as a left fielder on the university’s baseball team during the 1983 College World Series, which UT-Austin won. His teammates there included future major leaguers Roger Clemens and Calvin Schiraldi. Sutton is tasked with conducting a review of the internal processes that let the alleged fraud of Shoumaker, the former UT employee, go unchecked for at least a year. An affidavit filed in a Travis County court earlier this month alleges Shoumaker was clocking in for work at the law school while he was in fact on jaunts in Cozumel, the U.S. Virgin Islands and other tourist destinations where he had no work duties. Hired in 2007, Shoumaker worked for various UT-Austin departments before being placed on administrative leave in July 2017 and then fired that November. “If Jason has made any mistakes, he is the kind of man that will make it right,” Minton said at the time. The criminal fraud investigation, which is separate from Sutton’s review, is being pursued by the Travis County District Attorney’s Office and the Texas Rangers. 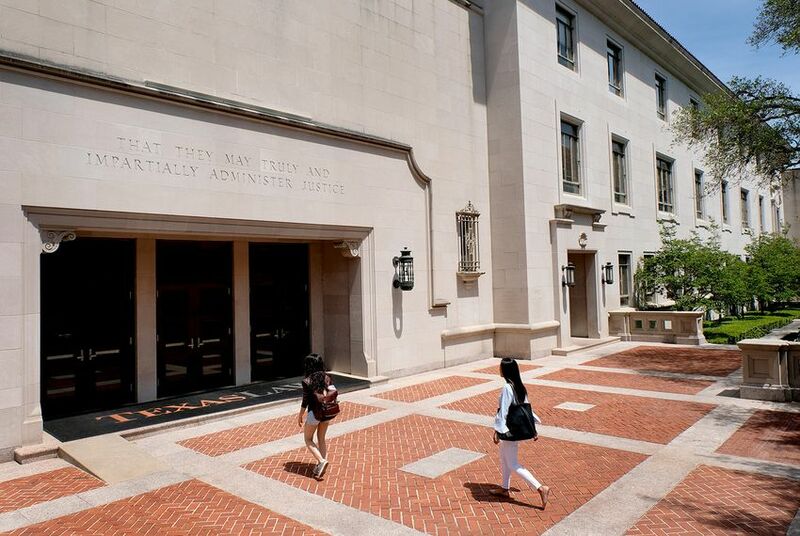 Report: UT Law's Forgivable Loans to Faculty "Not Appropriate"